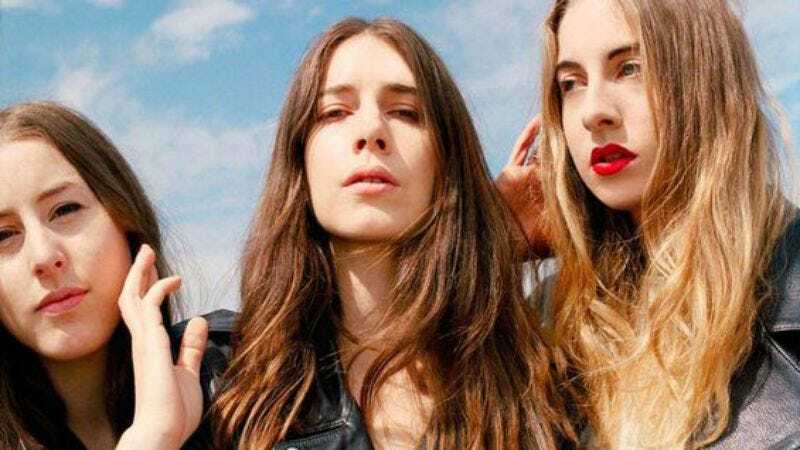 And Haim will indeed play live throughout much of North America, working its way through a glut of festival dates at The Governors Ball, Lollapalooza, and Bonnaroo before traversing the Atlantic for gigs in Denmark, Sweden, and Norway. The North American leg of Haim’s summer is artfully displayed in a photo the band posted to Instagram on Wednesday. Have a look at that, in addition to a full listing of Haim’s summer 2016 tour dates, below.